In recent years, there’s been a paradigm shift in what the career of the modern performing artist looks like. It is a difficult reality for many, as it was for me, that technical skills + talent are no longer enough to build a career in the performing arts. Make no mistake, these are still the perquisites if you want to (pardon the pun) play in the big leagues. But now we are asked to do much more than would have ever been dreamed of just a few years ago. ability to run a rehearsal, or apply for grants, or make a budget, or itemize a strategic plan for any ensemble or group with which you might be performing? and simple argument about your passion for the art you practice? Do you want to play in an orchestra? That’s great– but how will you be able to contribute to the sustainability of your group? Are you familiar with good fiscal management? Do you have an arsenal of audience engagement ideas that you can offer to the Artistic Director? And what about money? Do you have a plan in place to pay off those loans? Are you putting away money for a rainy day when work slows down? What are you doing to get more paid performance opportunities? Do you have a strategy to sustain your career over the long-term? Okay— now breathe. I’ll agree that was a little rough. It’s okay if you don’t have answers to all of these questions (yet). I didn’t a few years ago. That’s when I confronted the reality that if I wanted to be a musician of the 21st century, I had to do more. The truth is, at first I didn’t like all the extra stuff. There once was a time when I thought that I would jump through the hoops of higher education, get my degree and win my orchestra job. Or at the very least, I would gig enough to make ends meet until I could win that big job. I wanted the simplicity of practice, perform, repeat. But what I learned in my struggle to grapple with the enormity of all these new necessary qualifications was that I loved music more than I didn’t like all the other stuff. I wanted a life filled with music, to perform, to champion music of others. I wanted to be on the scene, I wanted to be connected, I wanted to live the life of a performing musician. That’s when I realized that all the other stuff was present in the lives of nearly all the professional musicians I knew. This wasn’t knowledge I had to learn as a penalty for failing at a performance career as I had imagined and chided myself so many times. 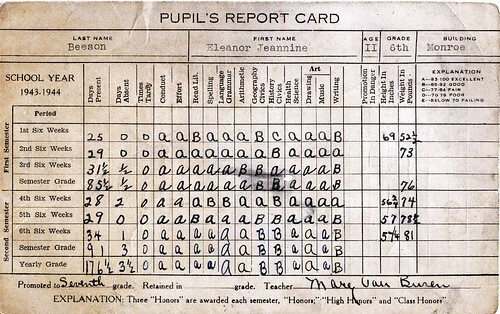 This was the real education. This stuff was what made the life I wanted possible. I urge you to think big and embrace an optimistic attitude towards all that you do in music. When learning a new piece of music you might run across something that you can’t already perform. You know you will slowly learn how to bring it to life. It’s the same idea with these entrepreneurial-administrative-organizational-whatever-you-want-to-call-it skills (all the other stuff). If you don’t know how, just invest some time to learn. It’s an experience of growth, humility, and learning–ironically, it’slike learning to play a new instrument. I’ve told many of you how the past year has been an experiment and personal challenge for me. On my 26th birthday, I had a major revelation that I felt I had wasted the previous year. I didn’t have much to show for the passing of 12 months and I essentially felt that time had slipped through my fingers. Standing on the corner of 207th Street and Broadway, I made up my mind that every day until my next birthday I would work to make my 26th year the most vibrant and productive year of my life. As my birthday is this weekend, it’s time for me to share with you what the past year has been like. The first step for me was to determine my goals as clearly defined tasks. So with pen and paper, I set about making a list of all the things I wanted to achieve with Tuxedo Revolt, as a professional musician, and in my personal life. The list was long. Very long. After a few days and sleepless nights, I had my list of well over 200 itemized goals that I wanted to accomplish. Then I began. Surprisingly, it was that simple. One day last July, I just started. I remember sitting at my desk, opening MS Word, and blurting out the first few sentences of a blog post. I’m not sure whether or not I ever used those first words, but they opened the floodgate and I’ve been putting my thoughts on the arts, classical music, audience building and arts education into the public arena ever since. When the Tuxedo Revolt Blog was featured on WordPress.com’s Freshly Pressed page, I was off to the races. In order to keep the momentum going, I studied social media, how it can help spread your message, and how it can provide insight into a person’s artistic process. I learned how to connect with people, and this is how I began to see that people are at the heart of all that we do in the arts. That all this is about people to people connections on some level or another. I worked to share new perspectives on arts traditions to you as well as introduce new revolutionaries in the performing arts. Through interviews, to artist profiles, to concert reviews– I have been able to share with you what others are doing to shape the performing arts world. Tuxedo Revolt consulting grew from my readers’ desire to ask my advice on their own artistic issues. I found that I really liked working with individuals and organizations. Each person I spoke to had unique talents, traits, and advantages that they could use to ignite their artistic work. Click here to see what some of them had to say about the experience. What I discovered though was that I have a passion for helping people this way, to help them achieve their artistic goals. It is incredibly rewarding and I am privileged to be a part of their artistic work. The momentum from Tuxedo Revolt has fueled wonderful change in my personal life as well. I see the world as a place of opportunity for change and progress, not just in the arts but in all aspects of life. I’m not bothered any longer by doom and gloom forecasts that litter the arts world. In the past year I have taken a proactive stance. I believe that the arts can be as vibrant as ever, can be a fulfilling career, and is worthy of lifelong pursuit if we are willing to change our point of view. It is my (very real) experience that if we dedicate our lives to sharing our art with others–not just making our art alone— then we can live with artistic freedom and passion. Thank you for being a part of my journey. Great things are coming in the next year. When an Orchestra Gets It. Had a great time playing with this horn section. Great job! 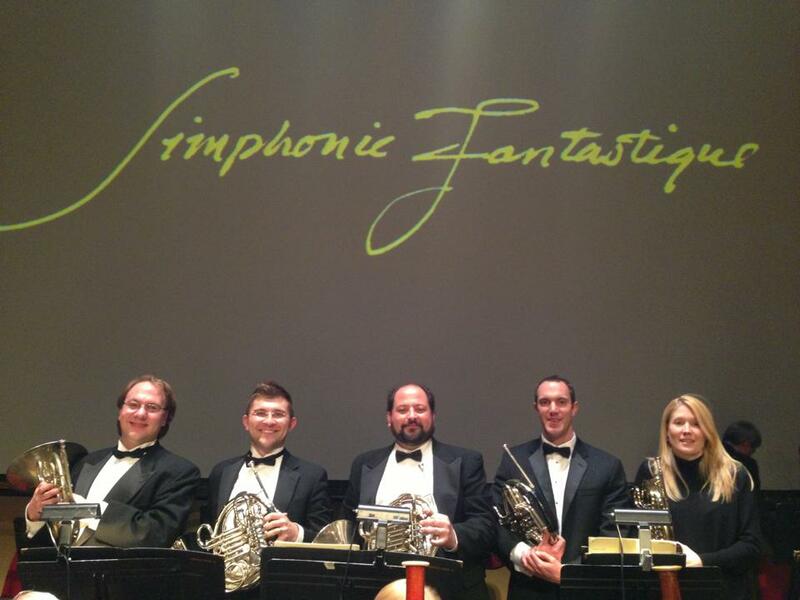 — (L to R) with Adam Schommer, me, John DeVivo, Steve Sherts and Liz Pfaffle at Allentown Symphony Hall. You probably follow the Tuxedo Revolt Blog because you support innovation in the performing arts. (If you don’t then you are on the wrong blog!). You probably also recognize that orchestras and performing arts organizations must work around the clock in order to come up with fresh audience engagement ideas. I talk a lot about how “good enough” or half-hearted efforts won’t cut it in today’s culture. If it doesn’t hit the bullseye of what modern audiences find accessible, then it misses the mark totally. I understand that is a rather harsh perspective. Yet, one of the greatest delights I have when I write posts for you is when I get to report on an organization who gets it right. From Siegel’s description, you can create an image for yourself of what the performance was like. I have to agree with his description, and add that the ASO musicians did a great job collaborating with the conductor to meet the unique technical needs of making sure that the music aligned with the film as planned. Symphonie Fantastique is an incredibly complicated work. I have performed it in the past and also have attended performances of the piece by major orchestras and never have I seen so much effort put forth by an orchestra and its artistic planners to ensure that the audience would be able to relate to the music. If you are a classically trained musician, then you probably know the story and origins of Symphonie Fantastique by heart. If you don’t or would like a refresher course, click here. Modern audiences don’t have the patience or desire to read through a verbose narrative in their program notes. The ASO artistic team boldly realized and accepted the fact that their audience needed another way to experience the narrative Berlioz defined for his music. Film was the obvious choice, but the film’s content could have proven fatal to the impact of the performance. The ASO should be applauded for rising to the challenge to create a film that both provided a point of understanding and a loose framework for the narrative, but yet, was still abstract enough to allow room for much individual imagination in the minds of each audience member. This is one element of programming that I haven’t spoken about enough. If you desire to tell a very specific story with your performance, it is your prerogative to do so. But for large works performed by many artists, or works that are best interpreted in a variety of ways by individual audience members (for example, orchestral music), you must leave room in your presentation so audience members can use their creativity and imagination to make meaning from the music. It’s a tricky process that takes trial, error, experimentation and refinement. This kind of creative experimentation is where so many arts organizations fall short on their promise to deliver dynamic performances to their audiences. It is in this experimentation and refinement that we begin to understand what our audiences need and want from us and how we can best deliver it to them. If a regional orchestra like the ASO can be a trailblazer and go out on a limb with projects like this, then I ask– why aren’t we all? Truly, if we want to continue to fill our seats and perform our music or other art form for large audiences, then we have to keep our finger on the pulse of what our audiences need as well as what they like. We have to lose our fear of pioneering new experiences, or maybe I should put it another way. We should become afraid of what will happen to our art if we don’t learn how to connect with modern audiences. To the ASO, I say a job well done. To everyone else, I say take notice. Why Would Tuxedo Revolt and Harlem Sound Project Give a Free Performance? Last Friday, December 7th, I partnered with my colleague Kyra Sims (founder of The Harlem Sound Project) to co-present a concert called Winter Lights. We’d been thinking of collaboration between each of our two organizations for a while, and this concert was the end result. The concert went well, with great music by Schubert, Franz Strauss, and Beethoven. We had some great guest musicians as well, soprano Darla Diltz helped the audience connect the poignant text of Schubert’s Auf dem Strom to the recent tragedy of super-storm Sandy, and Kristi Shade of Duo Scorpio gave us new perspective on the Schubert and Strauss pieces by playing the accompaniment on harp, not piano. We also had a surprise guest of honor when innovative performance guru, Dr. David Wallace, came to hear the concert. So, here is my answer to this question as well as Kyra’s. I believe that in order for me to write this blog about innovative performance techniques, for me to doing consulting work for individuals, ensembles, and organizations about how to engage audiences— I believe that I must practice what I preach. I believe that I need to test my ideas and theories about innovative performance by actually implementing them, not just talking about them. I get so much enjoyment from thinking of innovative performances that I jump at the chance to turn idea into action. It’s FUN! I get to make the decisions, I get to create and design, and perform—it’s a truly authentic process for me. I feel so lucky that I am able to do this, and I enjoyed this opportunity to create a great concert experience and offer it to others, not strings attached. Why give recitals at all? How are they relevant to modern audiences? What message do you have Tuxedo Revolt blog readers? Why do you love to perform? What about performing makes you feel completely alive and electrified? Don’t be embarrassed by any part of what drives you to perform. Embrace it and share it with others whatever the cost. The rewards to your happiness, your self-esteem, and your spirit to create music will be duly rewarded. This is an exciting post for me and marks a milestone for Tuxedo Revolt. Over the course of the next year, I’m featuring dozens of performing artists who take a fresh perspective on the performing arts in ways that are both slightly irreverent, but completely relevant. This is the first profile, of many, where I am privileged to introduce to you some of the amazing artists and organizations I have discovered that uphold the core values of the Tuxedo Revolt. Can I get a drumroll please..
Meet Duo Scorpio. Here’s what you should know about this ensemble at a glance. Who: Kathryn Andrews and Kristi Shade, Harpists extraordinaire. What: A harp duo that blows apart whatever you might think a harp duo is. These two professionals are in full control of every element of their work. Their mission is clear, and their drive for excellence is undeniable. “We were motivated to create Duo Scorpio because of the lack of original music for harp duo. We knew of a few pieces out there and really enjoyed them, but wanted to see more. We want to grow this repertoire for other harpists as well as for the classical music community in general. By bringing the harp and the harp duo into a new generation, we break barriers and end pre-conceived notions about the harp. “Exploring the harp’s capabilities” is their modest way of saying breaking the stereotypes associated with the harp, blowing past many conceptions associated with classical music in general and utterly defying the conventional wisdom that a harp duo could survive, let alone thrive in the current climate of the performing arts. 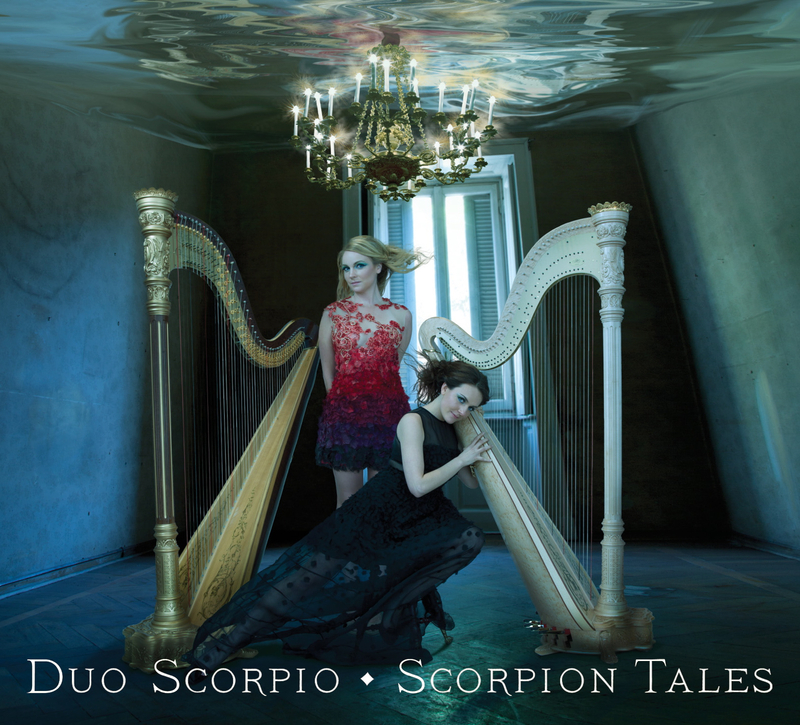 If you want to learn more about the dynamic repertoire choices and new music that Duo Scorpio champions, you should check out their newly released album Scorpion Tales. This record features a newly commissioned work by composer Robert Paterson as well as other mind-bending works written specifically for harp duo. The commission and collaboration with Paterson was partially funded through a grant from the American Harp Society. I sat down with Kristi and Kathryn a few days ago to dig a little deeper into their creative processes and their beliefs about the performing arts. I was intrigued to know if they thought about every element of performance as much as I do, that is to say, did they feel a responsibility to their art form to progress and advance it? At what point in their equation of success did consideration of the audience enter? Was it from the beginning concept or somewhere along the way? Here’s what they had to say. In your opinion, what can performers do to enhance the audience’s experience? In what ways does Duo Scorpio make connections with your audience? The longer we discussed the mission of Duo Scorpio, two themes became increasingly apparent. Authenticity and Relevance rose to the forefront of the conversation again and again. Kathryn Andrews and Kristi Shade are completely aware of the importance these two themes in their professional lives and creative work. For them, it’s just not enough to put on black gowns and play transcriptions of Ravel’s Mother Goose Suite in art galleries and recital halls. You can tell by talking to them, from the light in their eyes and the willingness to share their work with me that establishing a connection with the audience to, the music, to the instruments, and to themselves is just as important as being able to play this challenging music with flawless technique. Duo Scorpio doesn’t just want you to listen then applaud them; they want you to understand that through their music, they have something to offer you. They can bend your perceptions, they can even transport you, or make you forget time altogether. I know this firsthand from watching them in live performance and confirming what I felt with other audience members. From their unique choices in repertoire, to eclectic venues, to the high-end fashion photography used on their new album Scorpion Tales, to the casual dialogue with audiences at performances, to the sincerity and excellence with which they perform– Duo Scorpio fully accepts the responsibility that music is only one piece of the puzzle and that to be not only successful, but truly authentic, they must take ownership in every single aspect of all they do.